These MAISON KITSUNE socks are made in France with an all-over lemon print and striped ribbed finishes. 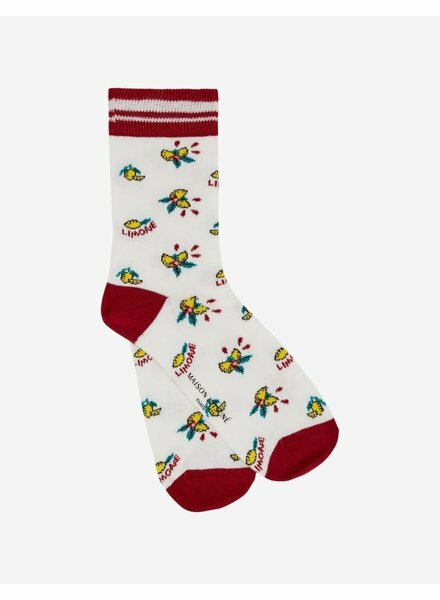 Featuring a “Maison Kitsuné Paris” logo, these socks will accessorize your most beautiful sneakers! 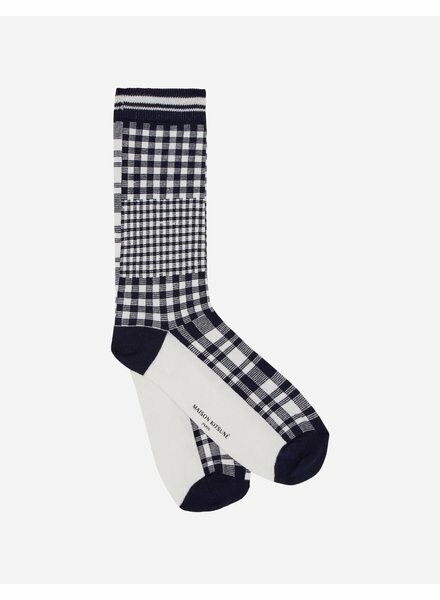 These MAISON KITSUNE socks are made in France with a tech style retro jacquard design. Featuring the “Maison Kitsuné Paris” logo, these socks will complement all your most beautiful sneakers! 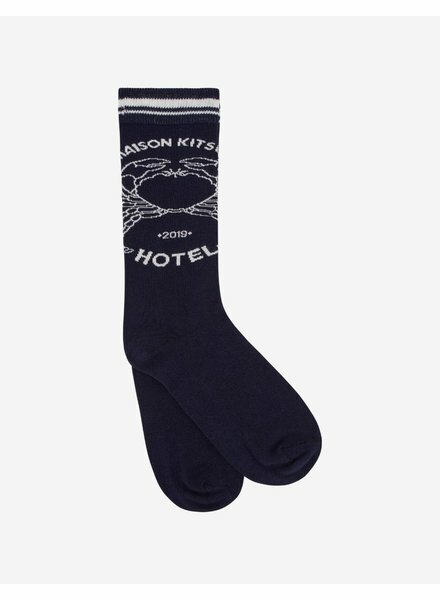 These MAISON KITSUNE socks are made in France with a tech style retro jacquard design. Featuring the “Hôtel Maison Kitsuné” logo and striped ribbing, these socks will complement all your most beautiful sneakers!